Nothing is better than finishing a brilliant science fiction novel knowing that it is only the first in a series. Some of the greatest minds in sci-fi have used the series format to create complex and thrilling universes for their story characters to exist in, while others have created dystopian (and utopian) future environments on earth. This list takes the best of the science fiction series genre and attempts to rank them – a difficult (and obviously subjective) task. 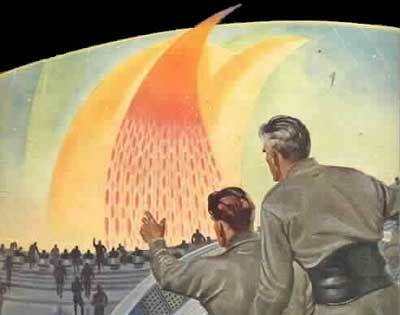 For your reading pleasure, here are the 15 greatest science fiction book series. The bulk of the Vorkosigan Saga concerns Miles Vorkosigan, a disabled aristocrat from the planet Barrayar whose entire life is a challenge to the prejudices of his native planet against “mutants”. The novels The Vor Game, Barrayar, and Mirror Dance each won the Hugo Award for Best Novel, while Falling Free, Memory, and A Civil Campaign were nominated but did not win. The series makes travel between star systems possible through the use of wormholes (spatial anomalies that exist in five spatial dimensions) – enabling instantaneous travel. The inhabited systems are known collectively as the Wormhole Nexus. Written by Gene Wolfe, this four-part novel is about Serverian, a journeyman torturer who shows mercy to his victim by allowing her to commit suicide to avoid further suffering. As a result of this act he is exiled from the torturers guild Seekers for Truth and Penitence. The series belongs to the Dying Earth subgenre – a type of science fiction or fantasy set in a far distant future in which the Sun is dying. Wolfe uses a lot of allegory in his series, with Severian being identified as a Christ/Apollo figure. It is his destiny to revive the sun and, thereby, save the earth. 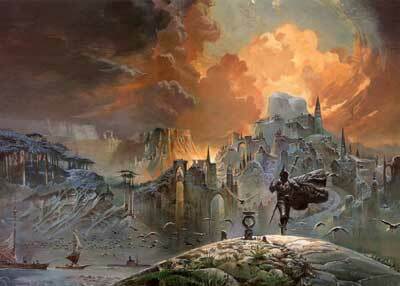 Simmons’ Cantos is one of the most well known science fiction series of the last two decades. It is set in the far future and focuses heavily on plot and story development, giving a much lesser role to technical detail. It would be considered soft science fiction and is often described as “space opera”. 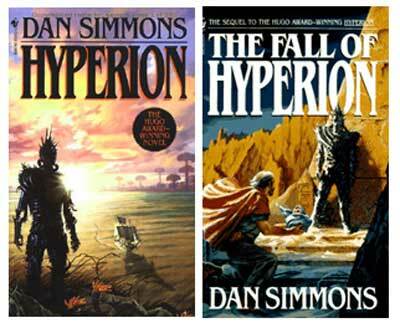 Of the four novels in the series, Hyperion received the Hugo Award for best Novel and The Fall of Hyperion was nominated for the Nebula Award for best novel. Hyperion is home to the Time Tombs, large artifacts that allow people to travel back and forth in time. The region where the tombs are found is also the home of the Shrike, a menacing being that appears throughout the series. 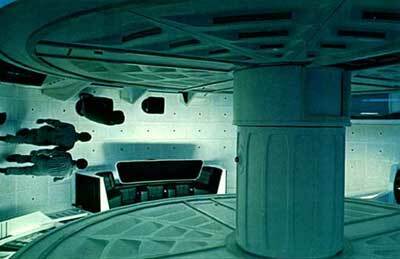 This is, perhaps, the most well known of the series on this list due to the commercial success of the film 2001, a Space Odyssey. The whole series was originally sparked off by a short story by Clarke, which he later evolved in to a full length novel in conjunction with the production of the movie by Stanley Kubrick. The series combines science fiction and metaphysics. Because the stories and settings of the various books and films diverge, Clarke stated that the continuity of the series represents occurrences in a set of parallel universes. The Culture is an anarchistic, socialistic, and utopian society set in the future. It is a “post-scarcity” society – meaning that it is is set in a time in which man has overcome all of the problems of poverty and need in the world – as well as eradicating death and disease. It is a totally egalitarian state, requiring no use of force or compulsion except when necessary for the protection of others. The novels deal mostly with people living on the fringes of this society – diplomats, spies, and mercenaries – those who do the dirty work of the culture. 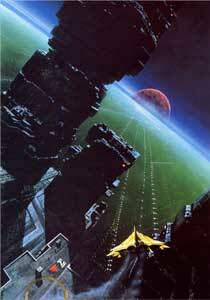 Rendezvous with Rama (the first in the Rama series) was published in 1972. It is set in the 22nd century when a thirty mile long cylindrical object passes through the solar system of Earth. It is revealed to be an alien starship and man decides to intercept it in order to unlock its mysteries. This is a brilliant book and it was accordingly given both the Hugo and Nebula awards upon its release. It is considered to be one of the cornerstones of Clarke’s total output and is seen as a science fiction classic. Under pressure to produce a sequel, Clarke teamed up with Gentry Lee to write the remainder of the series. Lee did the majority of the work and Clarke merely looked over and edited the writing. The Dune universe (Duniverse) is the political, scientific, and social setting of this six book series of science fiction meets fantasy books. 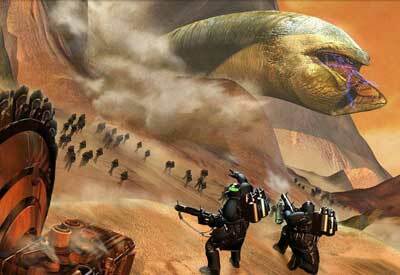 The first book (Dune) was extremely popular and was ultimately adapted in to a film by David Lynch. It was also televised as a miniseries in 2000, and in 2003, its first two sequels also appeared as miniseries. The universe is set in the distant future of man and it has a history stretching some 16,000 years, covering considerable changes in political, social, and religious structures. 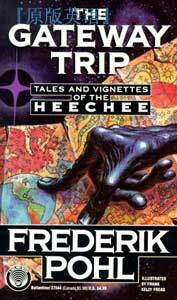 Frederik Pohl’s HeeChee are an extremely advanced star traveling race that explored Earth’s solar system millennia ago, disappearing without a trace before man began space exploration. 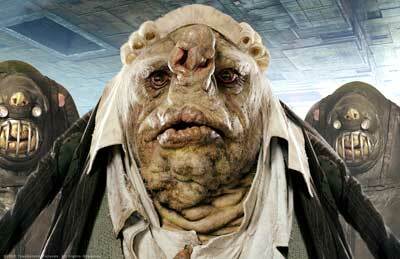 They originated as a plot device to allow Pohl to give a plausible reason for humans to make the effort of colonizing the inhospitable planet Venus. In the book of the series “The Merchants of Venus”, the Heechee are nowhere to be found, but the discovery of tunnels beneath the surface of the planet proves that they were there. The Hitchhiker’s Guide to the Galaxy is a comedy in science fiction form. It was originally a radio broadcast on BBC Radio 4 which was later adapted in to various other formats. The first series was six self-contained episodes each ending with the planet earth being destroyed in a different way. When Adams was writing the first episode he realized that he needed an alien on the planet to provide context – he settled on making the alien a roving researcher seeking the book “The Hitchhiker’s Guide to the Galaxy”. 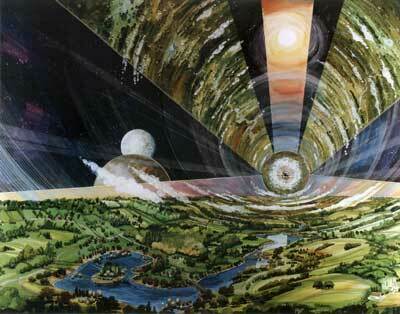 Ringworld was a the 1970 winner of both the Hugo and Nebula awards. 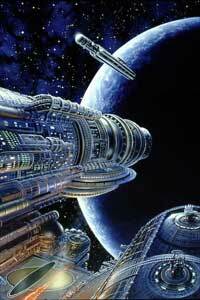 It is considered to be one of the classics of Science Fiction literature. The book was followed by three sequels. The series is set around the year 2855. 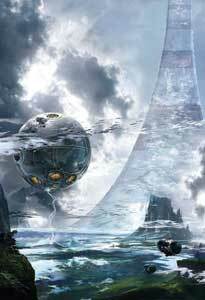 Two humans and two aliens explore a mysterious “ringworld” – a large artificial ring shaped structure surrounding a star. It is set in a very technologically advanced universe which allows for instant teleportation. The ring has a habitable flat inner surface of an area equal to roughly 3 million earth-sized planets. 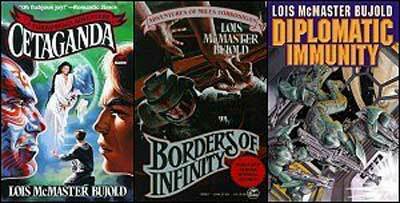 This series started with a small novel “Ender’s Game” which was later expanded in to a full sized novel of the same name. It now consists of nine novels, 10 short stories, and two yet to be published books. The first two novels in the series both won the Hugo and the Nebula awards and are considered to be among the most influential science fiction books of the 1980s. The main character, Andrew “Ender” Wiggin, is a child soldier trained in a battle school to be a future leader of Earth. Heinlein’s Future History described the future of the human race from the middle of the 20th century to the early 23rd century. He wrote most of the stories early in his career (between 1939 and 1941, and 1945-1950). The series primarily defines a core group of stories, but Heinlein scholars now agree that some books not included by Heinlein also belong in the series. 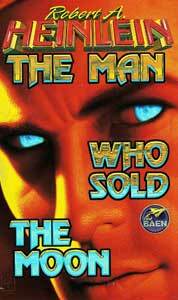 Two of the better known books included in the series are The Man Who Sold the Moon, and Time Enough for Love. A complete list of the included books can be found on Wikipedia. 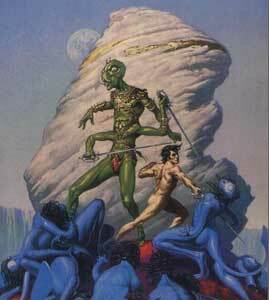 Barsoom is a fictional version of the planet Mars invented by Burroughs for his series of stories. In 1911 he began his career as a writer with A Princess of Mars. Several sequels followed, developing the planet in much greater detailer. A Princess of Mars was probably the first 20th century fictional work to feature a constructed language. Its influence can be clearly seen in both the Star Trek and Farscape franchises. While many of the tales appear to be rather dated today, they were extremely innovative in their time and they helped to inspire serious interest in Mars and space exploration. The Lensman series by E E Smith introduced many innovative concepts in to the science fiction genre. It was also a runner up for the Hugo All Time Best Series award. The series begins with Triplanetary two billion years before the present day and it is based in a universe with few life forms. The peaceful Arisian race understand life and life-forces in a way that no other race does, and as a result they create the lens – an object which gives its wearer a variety of special mental capabilities including those needed to enforce the law on alien planets and to bridge the communication gap between different life forms. The Foundation Series is an epic series of books written over a span of 44 years. It contains 7 volumes all closely linked (though they can be read separately). The term “foundation series” is also sometimes used to include the Robot Series and the Empire Series, all of which are set in the same fictional universe (though in earlier times). Including these other series, there are a total of 15 novels and dozens of short stories. The Foundation Series won the 1965 All Time Best Series Hugo award. The premise of the series is that a scientist (Hari Seldon) develops a branch of mathematics known as psychohistory in which the future can be predicted due to mass behavior of humans.